Although I'm not a massive hair girl myself, I decided that it was time to get a new curling iron as the previous two I had, did not give me the curls that I wanted. 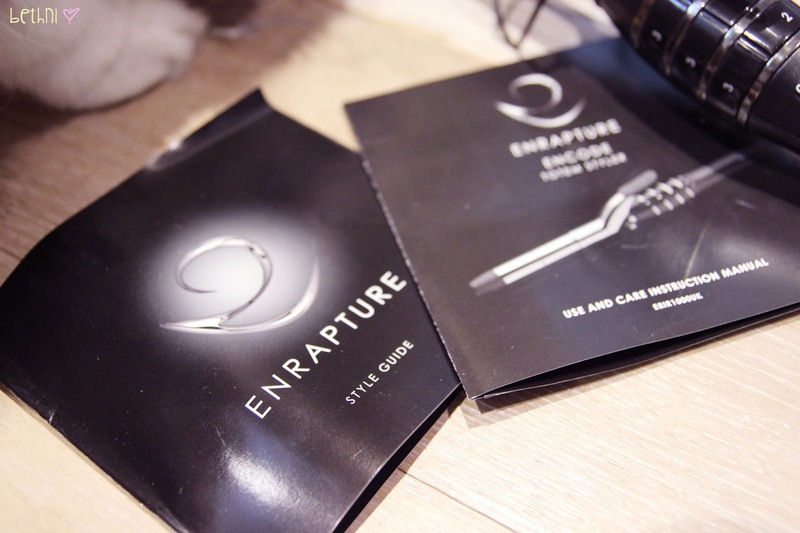 This Enrapture Encode Totem Styler has been around for a while and has been raved about by YouTube girls such as Zoella and Sammi (BeautyCrush). I decided to give it a go and here's what I thought! First of all, the curling iron came in a very pretty metallic purple box (which I have stupidly thrown out before I decided to do a review). The box was neatly packaged and the curling iron was very well protected. It comes with the curling iron, with the cable and plug attached, as well as a black heat resistant pouch which is great for traveling and extra protection. 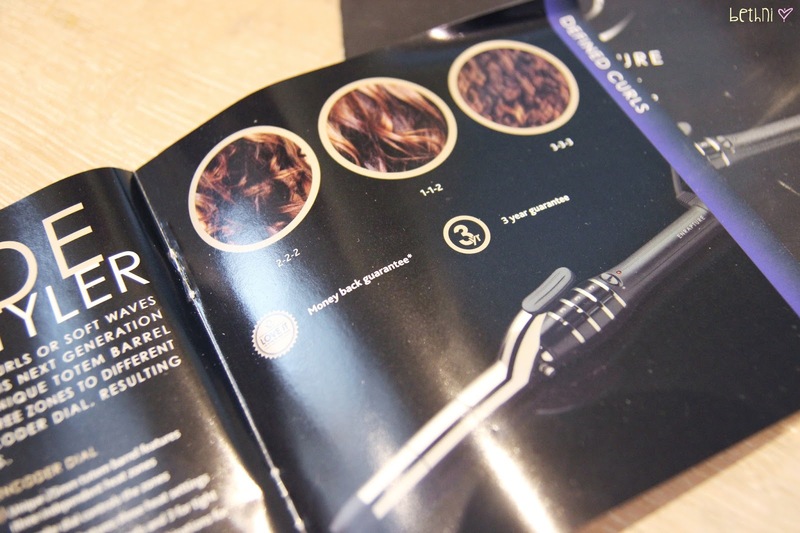 In the box you will also find two booklets, one is a Style Guide which teaches you how to achieve different looks such as Waves, Texture or Volume, and also informs you on what dial combination to set the heat settings to. 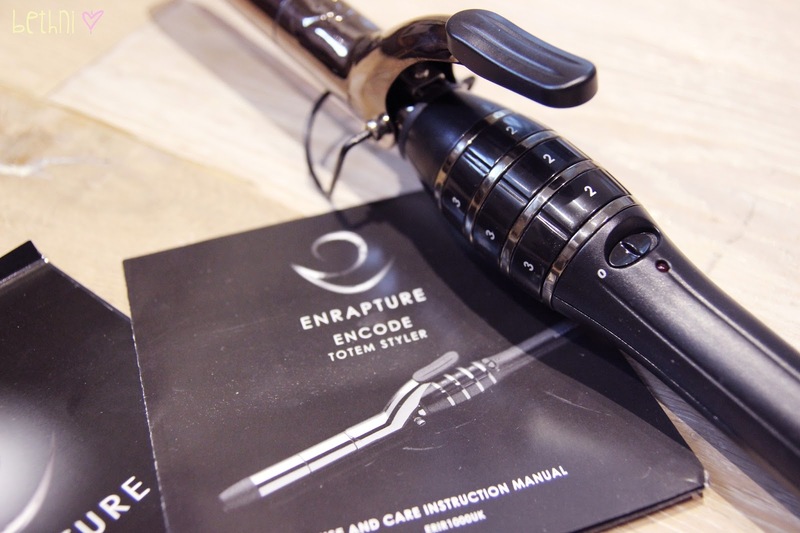 The other manual comes with a diagram of the curling iron, operating instructions, safety instructions and useful information nonetheless. I highly recommend reading both booklets thoroughly even if you have used curling irons your entire life, it is always useful! The wand itself is quite long in size compared to other curling irons that I have come across. Intimidating as it looks, it was in fact, a lot easier to use than I expected. It has a mini clamp which I think is easier as hair does not get in the way when you are trying to release it. The barrel is 25mm made of titanium plate which makes it heat up quicker, and gives a more shiny curl. The swivel cord also makes it easy to handle the appliance as you can easily rotate it to ensure safe and easy use. Moving on to the exciting part of the curling iron, is the encoding system. The barrel comes in three independent sections, allowing you to adjust the heat setting for each section. For example, heat setting of 1 gives a loose curl whilst a heat setting of 3 gives a tighter curl. 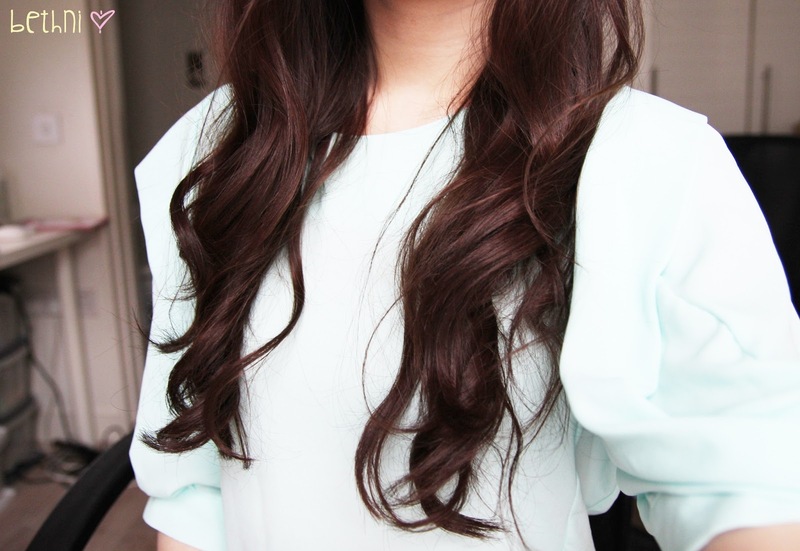 Meaning that a combination of 1-1-2 would give you loose curls on the top and tighter curl at the bottom. A setting of 3-2-1 would give you a tight curl near the root of your hair and gradually become loose at the tip of your hair. I find that this works extremely work to achieve different looks without having to switch curling irons, especially when you are traveling. 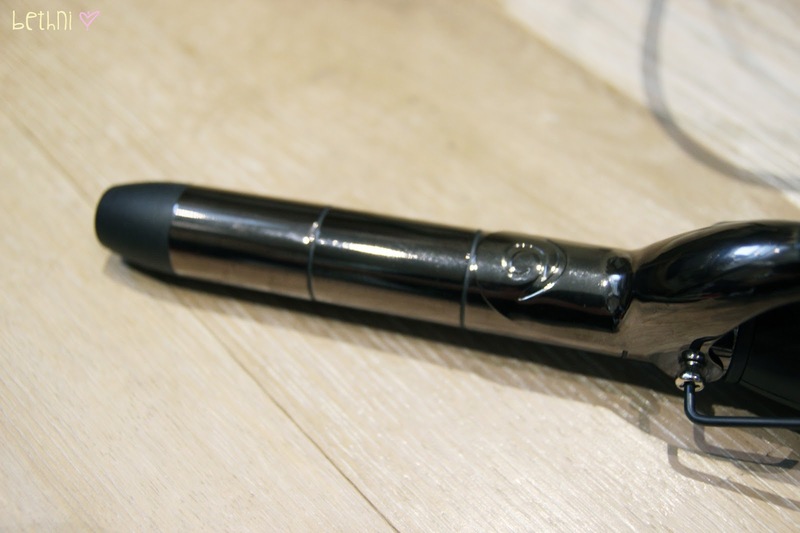 There is also an adjustable stand which is great for when you are fiddling with your hair but your curling iron is hot, that way you won't burn anything and it stays put. 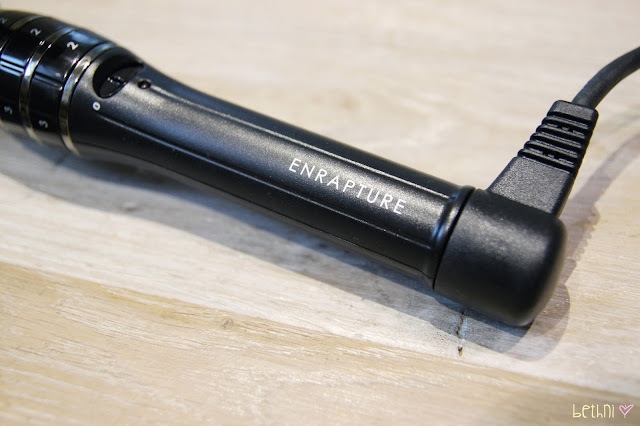 The mini clamp was also a great selling point, however if you are like me and are used to clamping the middle section of your hair, pulling it down and then proceed to roll up the curling iron, this can be a fiddly. Since the clamp is small in size, I find that when I clamp my hair and pull it to the tip, my hair ends up running out of the clamp anyway. What I have to do is to clamp as close to the tip of my hair as possible, which is something I am not used to, but it works all the same. 2. 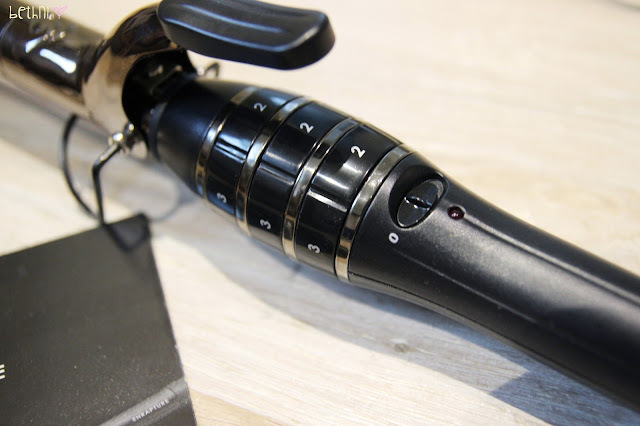 Adjustable heat settings for independent sections of the barrel allows you to achieve a wide variety of hair styles with just one appliance. 3. Adjustable stand which allows it to stay put and safe to place on a desk. 4. Mini clamp makes it easy to manoeuvre. 6. 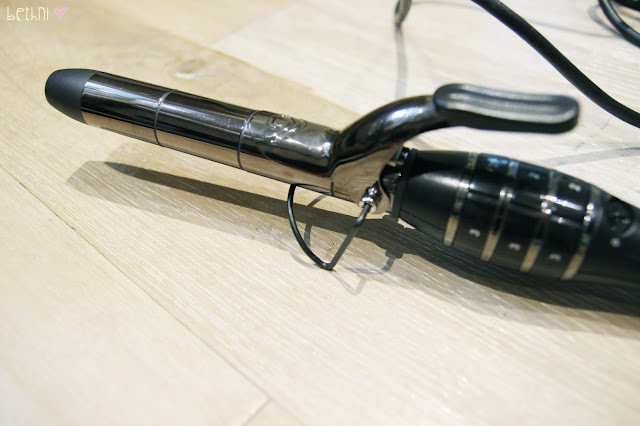 Swivel cord makes the curling iron easy to use so that wires don't get in the way. 8. 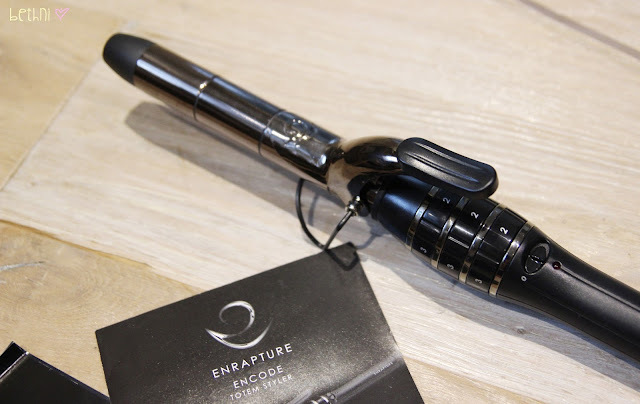 Can be used just as a curling wand for natural waves. 9. 3-year warranty and money back guarantee! 2. Mini clamp doesn't catch hair very well, as the hair slides out of the clamp when I pull it to the tip. Tip: Clamp your hair as near to the tip of your hair as possible. 4. Heat settings only from 1-3. It is not known how hot (degrees celsius) each setting actually is. I am extremely happy with my purchase as this is extremely easy to use for an amateur like me. The curls are in place ALL DAY! I hardly had the habit of doing my hair as my curls never stay in place, even with setting spray. However these curls work great on my fine, thin hair and give amazing results. The next day, my curls turned into very natural waves which makes it even easier as I did not have to curl my hair the day after (FYI, I wash my hair every other day and use dry shampoo on the days in between). I am very impressed with the Encode Totem Styler and would highly recommend it to those who have the budget. 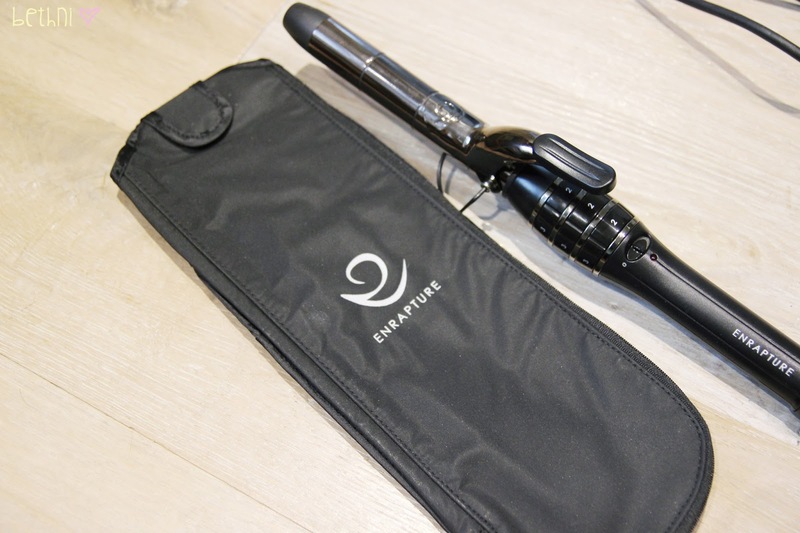 If you would like me to do a video on using this curling wand please let me know! I hope you enjoyed this review and let me know if you have used this before, and whether or not you like it/hate it! I would love to hear what you think!